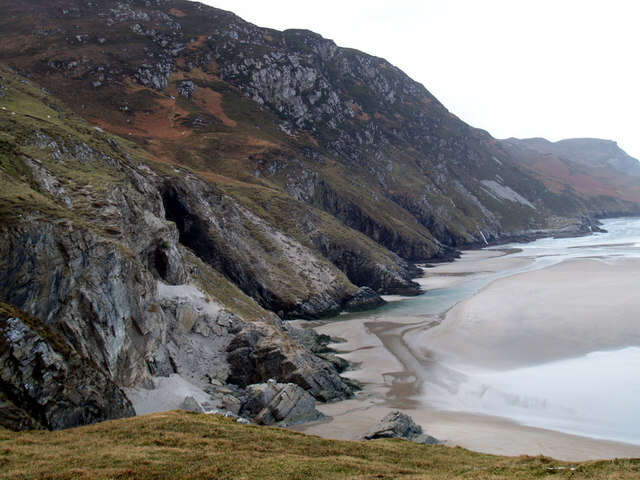 One kilometer from Assaranca Waterfall, the Maghera Caves are located beneath Slievetooey mountain and some are accessible at low tides from Maghera Strand. 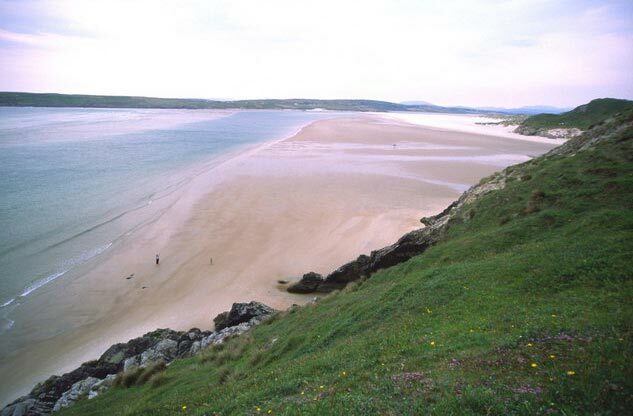 Maghera Beach stretches out into the bay (please be careful of tides and strong currents, and check locally regarding times). Access to the beach is via a car park and a short 200 metre walk to the caves. There are over 20 caves, 8 arches and 5 tunnels which can be visited, ideally by Kayak or other small craft, and would be enough to sate the appetite of any explorer. Folklore tells the story of a massacre here, where local people were hiding, supposedly from Cromwellian attackers. However, we know from written history that Cromwell never ventured this far north, and it is more likely that if there is any ring of truth to the story that it would be Viking attackers. Assailants apart, it is nonetheless an interesting example of how the oral history has been preserved, albeit bent to suit a more topical hue. The story also told of a single male survivor to the massacre who, accompanied by his dog, fled into the interior of a cave and continued to crawl through the dark and damp, seeking freedom. The man, the story goes, never made it to the other side, but the dog, having lost all his hair, emerged in Glencolumbkille some 20km distant!